According to Redditor L064N, he was shopping at a thrift store in Oceanside, California last week when he came across a very strange Atari console. Some quick Googling told him it was a rare prototype for the Atari 2700, an un-produced wireless follow-up to the 2600. He bought it for $30. And then he sold it on eBay for $3,000. Planned for release in 1981, the Atari 2700 was a new iteration of the popular early video game console. Compatible with all Atari 2600 games and accessories, the core difference between the 2700 and its predecessor was a pair of wireless controllers that combined a joystick with a paddle. The Atari 2700 got as far as marketing planning, as evidenced by the 1981 magazine ad above. It was a sleek unit, with built-in storage for the controllers in the console housing. We spoke to National Video Game Museum director John Hardie about why the system never made it to market. Image via the eBay listing. 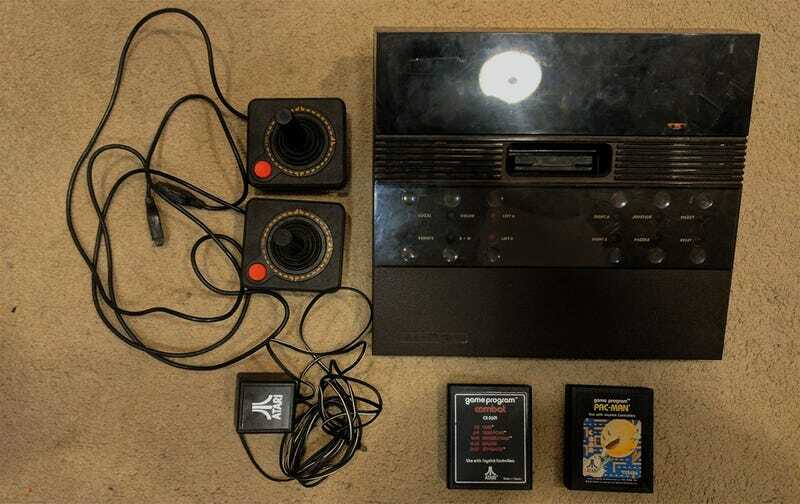 L064N’s Atari 2700, apparently discovered at the Disabled Army Veterans thrift store in Oceanside, California, was missing the controllers, though it does have ports for standard Atari 2600 controllers. While he could not hook it to a modern television, it did power up when he plugged it in. We have power, via eBay. Controllers or no, it’s still a very rare console. It’s said that only around a dozen prototypes were created, though John Hardie suspects the number might be higher. Like finding an incredibly rare Atari 2700 prototype at a thrift store, for instance.